In 2015 we reviewed the excellent Salomon X-ALP GTX So it was great to be given the opportunity to review the boot version the X-ALP MTN. 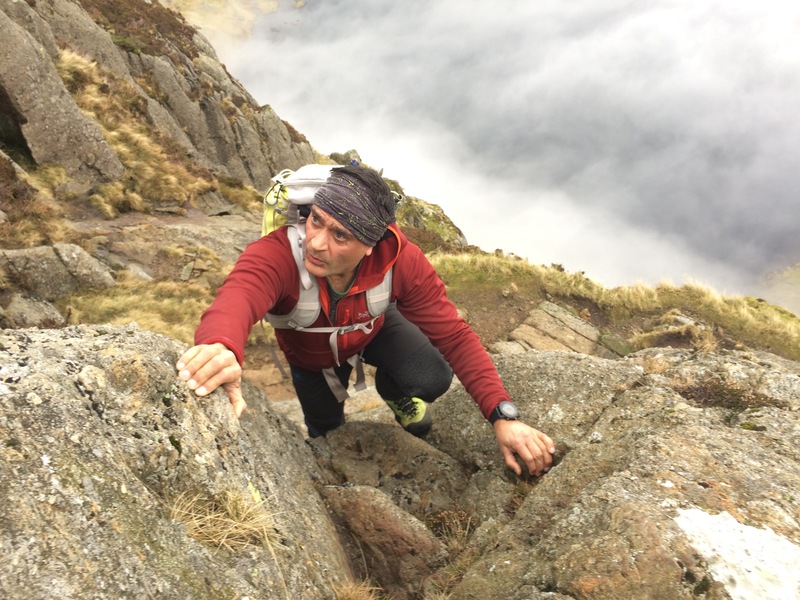 They have proved to be an excellent all round mountain boot offering the sort of comfort and performance I have come to expect from Salomon. 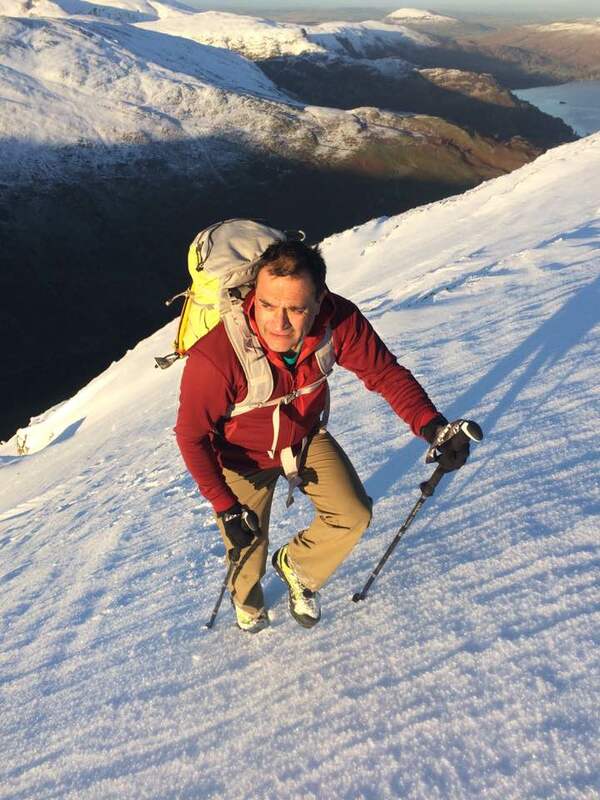 I have used the X-ALP MTN most of the summer and into the winter sand found them to be dependable, light and super comfy in all conditions from a snowy ridge climb to an all day hike. The Salomon X-ALP MTN GTX are a well featured mountain boot that when offered comfort straight out of the box. They are a B1 boot so a little stiffer than a regular hiking boot but not as stiff as a full winter mountain boot. They are suitable for scrambling, hiking, winter walking and easy mountaineering in both summer and winter. They will take a crampon but it is a C1 crampon as there is no heel bale. They did perform well with a crampon on however and I would happily use them for Alpine glacier travel and even easy ridge ascents. I just loved the lightness of the boot on my feet. Lightweight and stiff enough for winter days out. My usual size for boots is a size 42 (UK8), but I’ve experimented with a 42.5 (UK8.5) with the X-Alps as I have been finding lately that on long days out and descending at the end of the day, my toes were beginning to hurt. Also I have been using Orthotic inserts to try and rectify knee issues and the extra half a size has been a godsend as I can afford the extra volume to keep my heel in place. I have, however, found them a little boxy in the toe and lacking in precision with the bigger sizing so if you are looking for rock precision I would stick to your normal shoe/boot size. 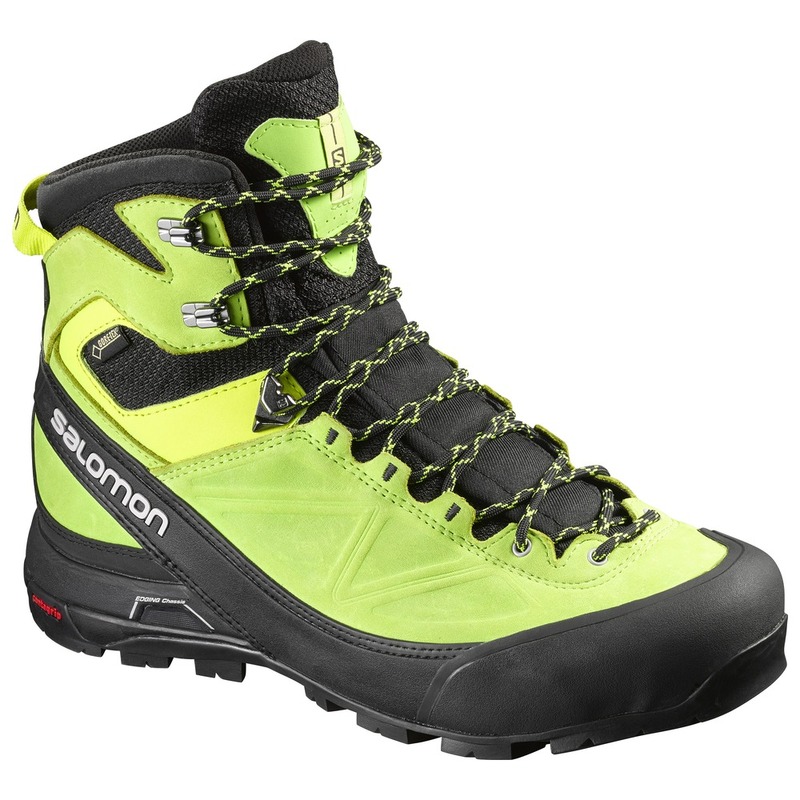 The Salomon X-ALP MTN are also a very robust boot, they have 1.5mm leather and fabric outer and plenty of rubber rand around the toe box and sides. The rand then splits at the heel to provide a strip to help reinforce the heel and pull the boot tight a round the achilles. I would have preferred a full heel rand for U.K. Conditions but you have to remember Salomon are a French company and the X-ALP MTN is designed mostly as an Alpine hiking boot – so not really designed for wet bogs and grass! The Salomon X-ALP MTN were perfect for scrambling. The lacing system is a mixture of eyelets, fabric (which have burly bartacking) and hooks. 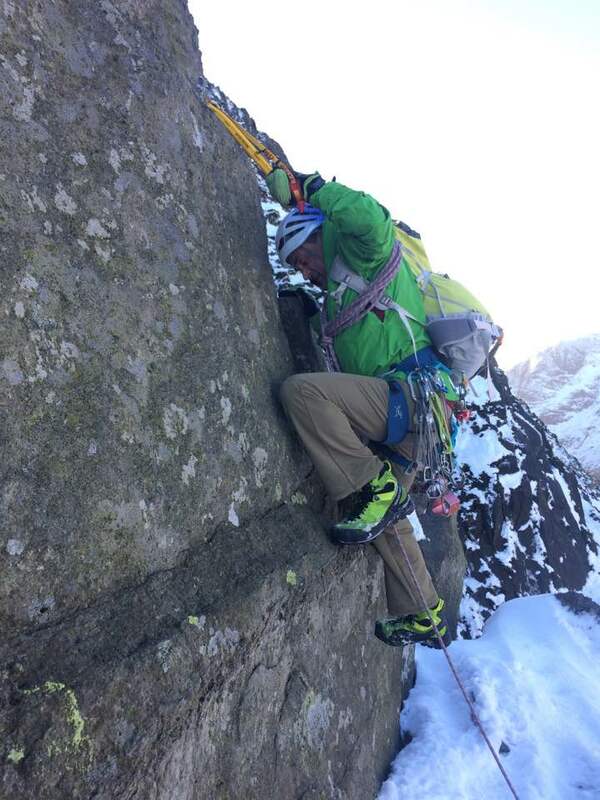 When I first took the X-ALP MTN’s out into deep snow I became annoyed that the snow kept pushing the laces out of the hooks and I repeatedly had to stop and retie them. I think it was a mixture of me not aligned close enough attention to precise lacing and the fact that the round laces were new and therefore slippy. Since then I have made sure that I pay close attention to how I hook the laces, I also lie the lace in a reef knot and then a double bow. This has worked great and the laces have stayed in place ever since, just goes to show-if you pay due care and attention at the beginning of the day it pays off. The sole unit of the X-ALP MTN is a B2 semi stiffened and as with all Salomon boots has its own Contagrip and not Vibram. The toe is flattened out for climbing and the rubber proved great for rock, I even had faith in the friction on wet rock. The cleats are well spaced and were fine when out on rocky footpaths but there were occasions when I was descending on steep, wet grass when I would have been happier with more aggressive cleat design – but as I said earlier the Salomon X-ALP MTN is designed as a high mountain alpine boot. Generally they have performed well on dry rock, rocky paths and damp scrambles. The sole also perfumed well in snow when kicking steps so you can be assured hat when you encounter some snow the X-ALP MTN will offer security, obviously in hard neve you will need to use crampons! Tough enough for rock moves. The Salomon X-ALP MTN has a fully gusseted tongue and a full Gore-Tex lining so will keep out a reasonable amount of water and I have found them warm and comfortable in damp conditions. I loved the oversized heel loop for pulling the boots on but I couldn’t understand why the same design feature hadn’t been applied to the tongue, which had a loop but it was a little too small for my fingers. The tongue loop could be designed to thread the lace through but I felt that it could have been as well designed as the heel. In conclusion the Salomon X-Alp Mountain is a great boot if you are looking for a comfortable boot that you could use for scrambling, high altitude alpine hiking and glacier travel and long distance trekking. They come in men’s sizes UK 6.5 to UK12.5 in half sizes and three colours black, yellow and I have been testing the green as I like to add a little colour on the hill. A decent choice for a 15-day trek up to Annapurna Base Camp at circa 4,500m and back? Maybe not warm enough for 4500m Jamie – you would most likely need something much warmer. Happy adventures. Dave. That does seem a little quick! Please do remember that most boots are not really waterproof – eventually water gets in through the hole where you put your foot in. Also if you are walking through a lot of wet ground and puddles water will also get in. I’ve been wearing mine for a variety of work situations (I work as a Guide in the UK) and as long as I’m careful where I step my feet have remained warm and a little damp. Happy adventures, Dave. Hi there, I am currently juggling between this and the Salewa crow GTX. Have you by chance crossed paths with this boot before? Many thanks for the review, extremely helpful. Hi Thomas, sorrt I’ve haven’t tried the Salewa Crow boots. I like the Salomon boots as they seem to fit my feet well and they are well made. I hope that helps, Dave.